St. Clement’s School holds ‘community’ as one of its values because we care deeply about who we are when we come together. Maintaining our small, close-knit community means working hard to build strong, mutually-supportive relationships with all those affiliated with our School. This work is powerful as it enables us to engage with diverse people and perspectives, and challenges us to ensure that we are as inclusive as possible. Part of our community’s focus is also to build connections and partnerships with others, and this week brought many reminders of the learning and growth we have experienced as a result of the deep, important connections with Indigenous partners. Over the past ten years we have built and strengthened ties with the Moose Cree First Nation in Moose Factory. Several staff and senior school girls have travelled there regularly, with a group returning just this past week. Over the last few years, we have also been privileged to host our Moose Cree friends at the School. Guests over time have included the High Ridge Singers, Moose Factory Elders, and several Grade 8 students and their teachers. In addition to this relationship, St. Clement’s has a significant and respectful partnership with the First Nations Public School in Toronto, where staff from both schools work together to identify literacy activities for our senior girls to present and practise with students from the school. To develop and sustain relationships takes time, respect, and an openness to learn about and from each other. Our ties with so many in the Indigenous community are important to us, and also remind us of our role in responding to the Calls for Action from the Truth and Reconciliation Report. We know, though, that this work cannot be addressed only by our senior girls. 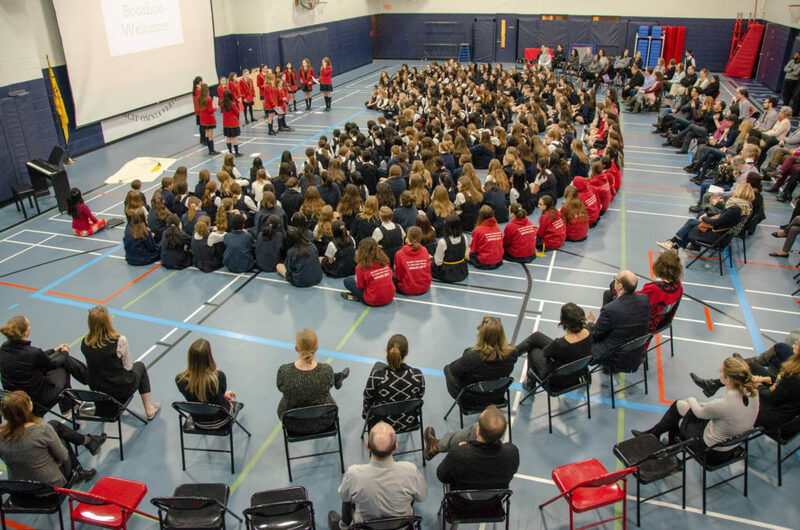 St. Clement’s School is committed to educating all Clementines from Grades 1-12 about their roles in responding and contributing to reconciliation with Indigenous peoples. On Friday, it was with great pride that I watched some next steps unfold. At assembly, one of our Grade 6 classes reminded our SCS community of the importance of responding to the Truth and Reconciliation Calls to Action. The girls spoke to learning the truth about Canada’s dark past including about Residential Schools, while they acknowledged that change is difficult. In addition, they spoke to the importance of education for reconciliation: that Non-Indigenous and Indigenous communities must come together and, that our girls must consider how they can make a change. Over the next few months in our Junior School assemblies, each class will be presenting about the Objiway Seven Grandfather Teachings, which highlight the importance of Humility, Honesty, Courage, Love, Wisdom, Respect and Truth. These teachings contribute to developing strong people and communities. Our girls on Friday spoke about humility: that each of us can learn from mistakes, and that respect for one’s place and lack of arrogance are important traits. Our School’s valuing of community cannot be underestimated. Not only does the value challenge us to ensure that we are working together to foster our close-knit feeling, but it also reminds us of the importance of understanding and learning from others.